The Speedcross, the top selling trail shoe worldwide, gets significant upgrades centered on stability and upper comfort. 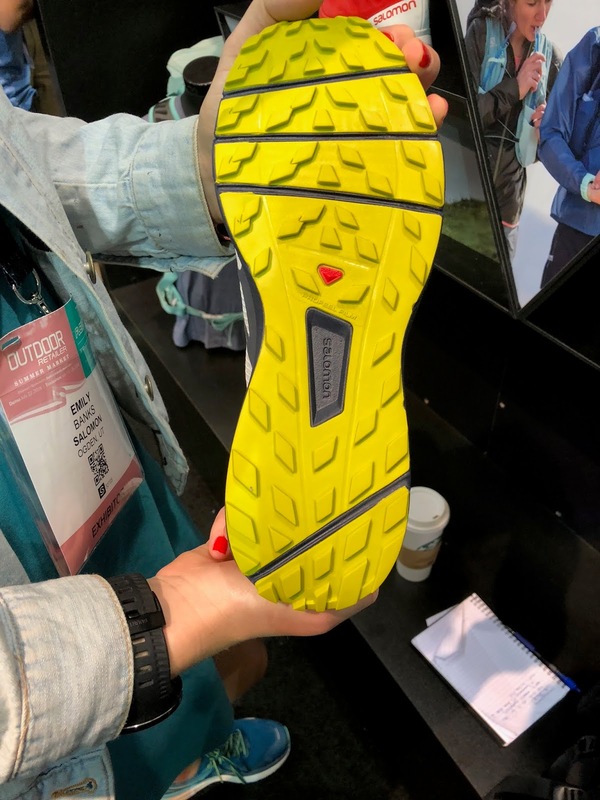 Focused on loose surfaces including mud, snow, and sand the Speedcross is also an “around town” favorite and will be available in many colors. 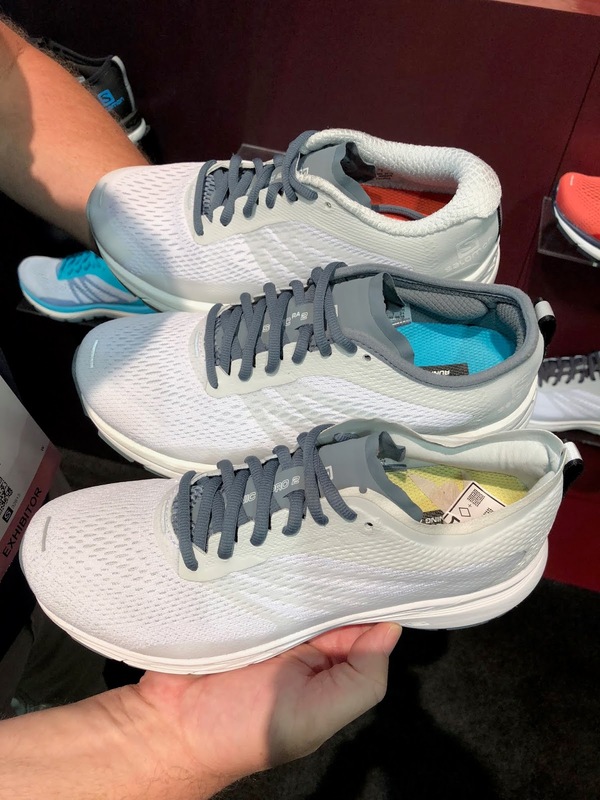 The upper in the toe box moves away from scratchy stiff rip stop and stitching to softer materials and is assembled with a new vacuum forming technology to make the toe box more supple and accommodating. The front on the ground platform is widened slightly again to provide more comfort and a wider grip on the ground. To enhance stability and ground contact the lugs are widened. 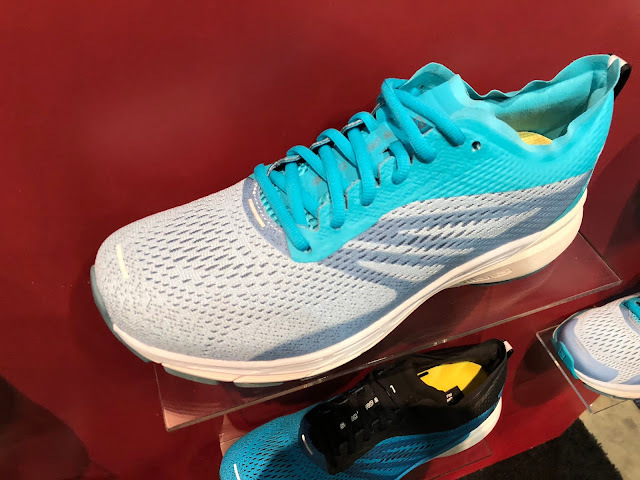 The distinctive rear heel support from the midsole is raised along with the achilles collar which is made more supple. Please Subscribe to our Channel. Thanks! Salomon took great care in designing its first women's specific run vests. The flask pockets are placed lower and slightly more to the side, below the breasts, than in previous unisex models. The two included 500ml flasks are shorter and wider and contour to the body and have long straws for easy drinking. The rear pocket has an up and down zip and behind it there is a pocket next to the back for a hydration bladder. A safety whistle and reflectivity is included as are multiple options for securing poles. The second edition of the popular Sense Ride (RTR review) sees an upper change. The Sensi Fit overlays are angled more sharply to the rear to increase rear hold and stablity. 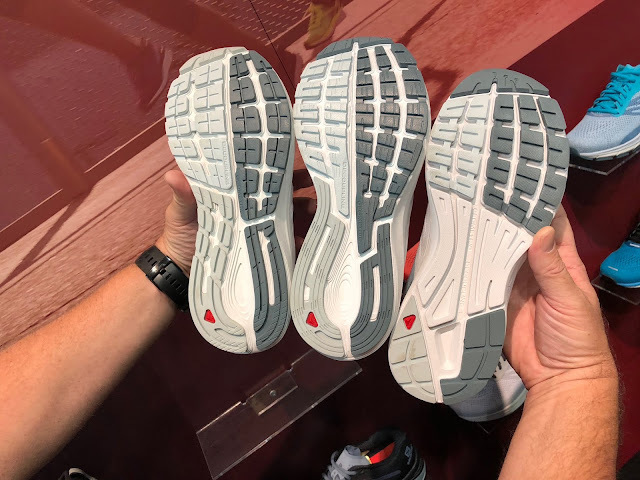 The new upper is supposed to flex more easily with the rest of the shoe. Based on catalog weights, there appears to be a 0.2 oz drop in weight.No changes to the Vibe and Energy Cell+ midsole and Contragrip outsole were mentioned. All $130. Available February 2019. 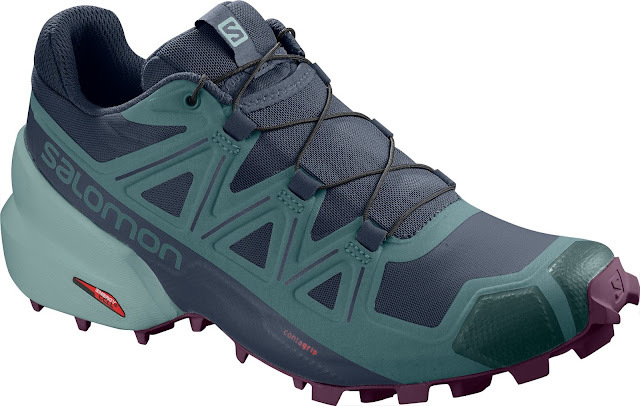 Salomon's first season of road running specific shoes now in the market has three great models: the Sonic RA Pro, Sonic RA, and Sonic RA Max gain solid traction (RTR reviews). Based on catalog weights the 8mm drop Sonic RA and 8mm drop Sonic RA Max gains about half an ounce to 9.1 oz/260 g and 9.9 oz 280 g respectively in the men's models, while the 6mm drop Pro loses about half an ounce to 7.7 oz./220g. The graphic above illustrates how to differentiate the three models. We found in our testing of the first season that the graphic is consistent with our experiences with the notable exception that the Sonic RA is now called out as a Smooth Ride, something v1 needed a bit of work on as its transition from mid foot needed some work. 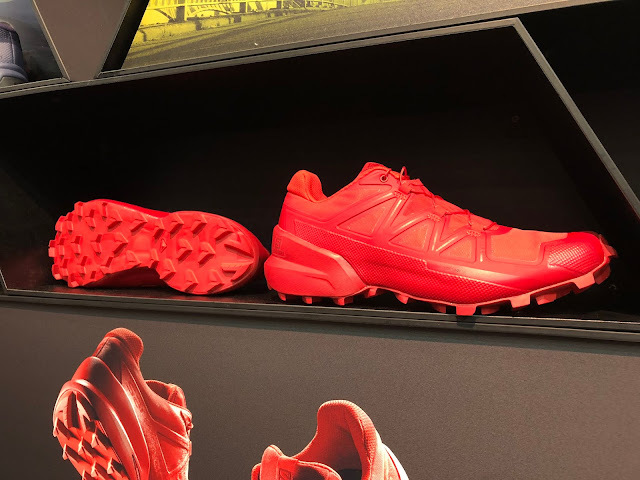 See below to see how Salomon is planning to improve smoothness. 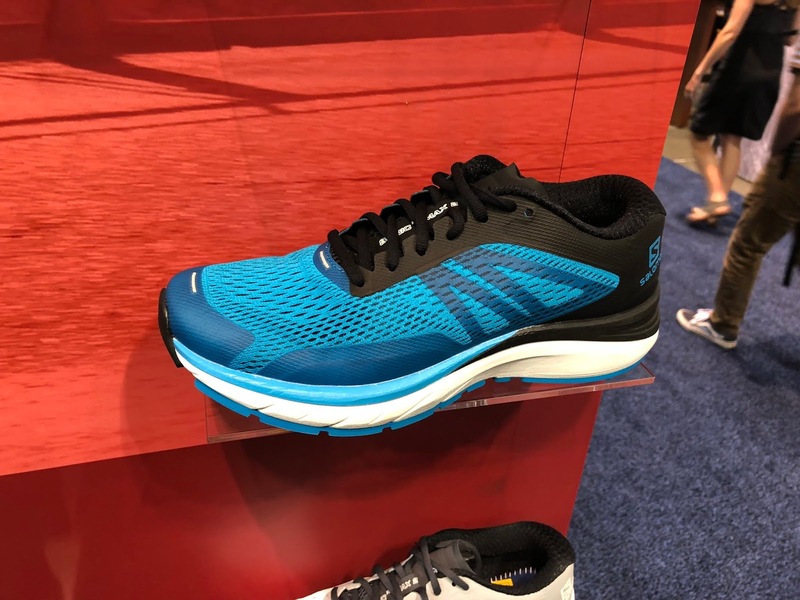 For 2019 all three models get a smoother fitting engineered mesh upper. Previous uppers were more conventional mesh. 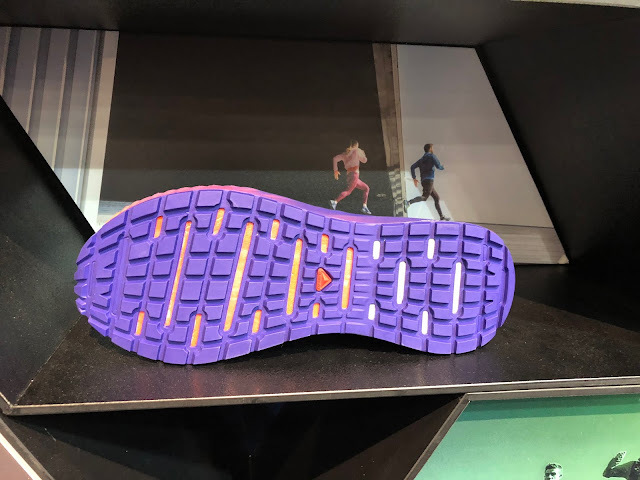 The Sonic RA and Sonic RA Max get full updates to the midsole tooling and outsole. Most notable is that the softer forefoot outsole rubber of the Sonic RA and Sonic RA Max is extended further to the rear than in the first versions for a smoother less slappy transition. 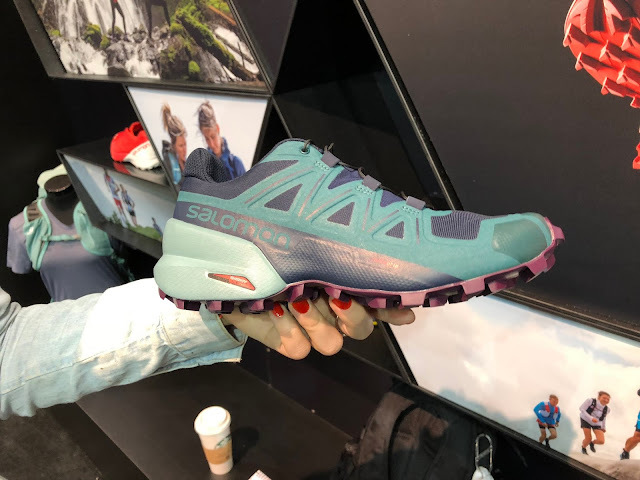 In the thru hiking category Salomon introduced the Odyssey Triple Crown. It has a PU Energy Save front insert like the S/Lab Ultra (Vibe is eliminated), a very durable appearing upper and outsole, a wider type toe box and a stiffer heel counter. 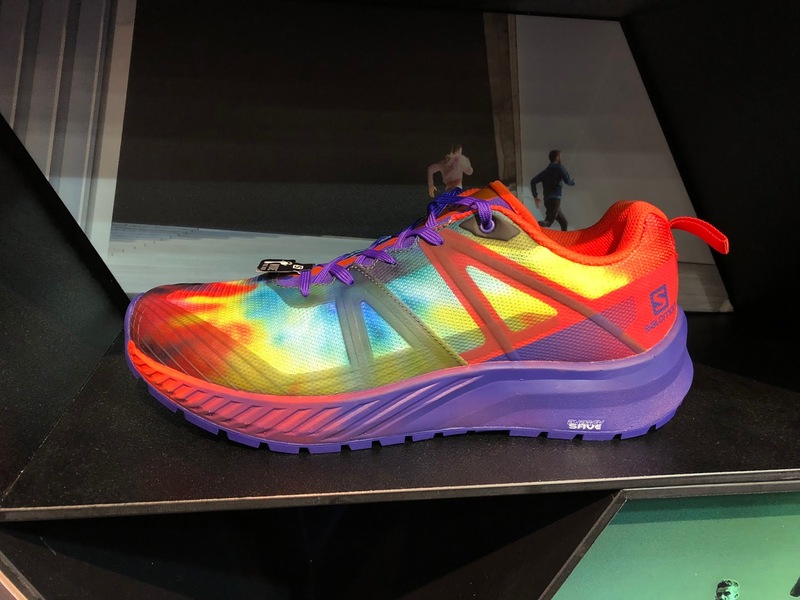 I fondly recall the Synapse another through hiking shoe which ran like a dream on rough terrain. According to Andrew Skurka's preview here with more details it will come in at 11.6 oz. 325g and retail for $140. 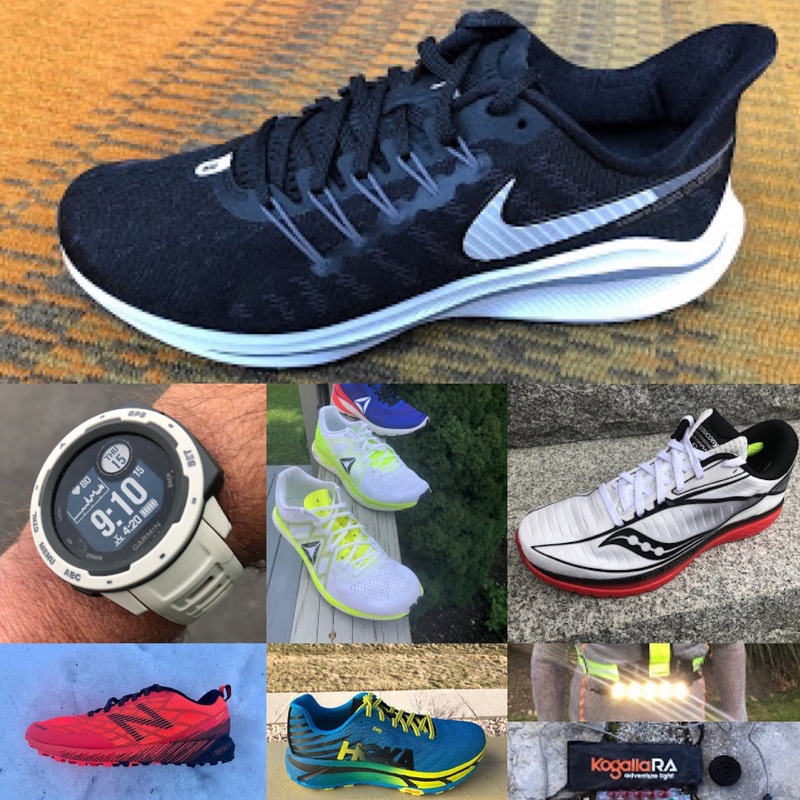 The catalog shows a Spring 19 S/Lab XA Amphib and Pro Max 2 but we have no further details at this time. Thanks for the preview. 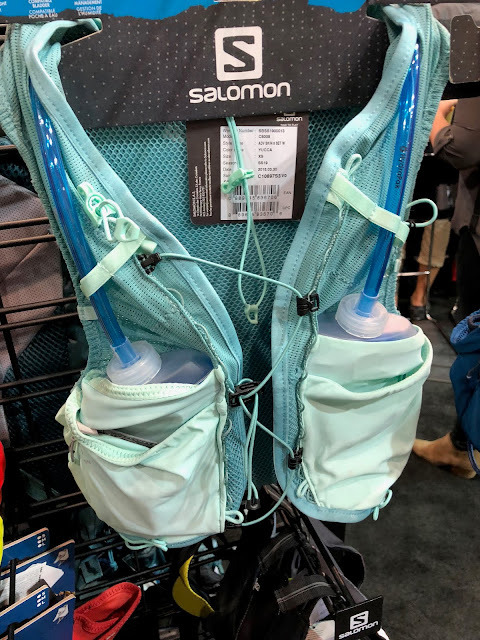 Will Salomon be updating their S-Lab Sense Ultra 5L & 8L Hydration Vests in 2019? Glad to hear they will not be making major changes to the Sense Ride. Let's hope this stays true. I've also been eagerly awaiting info regarding new vests as well. The Salomon elite athletes have been wearing new vests all year. 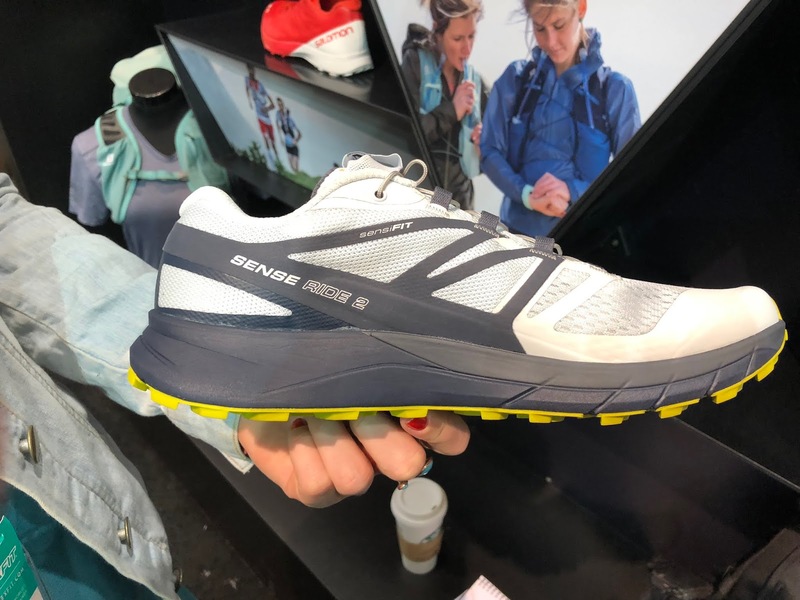 Salomon told me there would be new releases this summer and that they were waiting for the shipment to arrive at the US distribution center. Haven't seen them on the international or foreign Salomon websites so I am guessing this is bogus information. 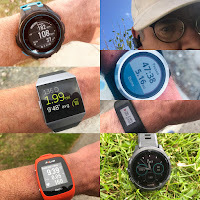 If you look at photos and video of Salomon athletes over the last six months, you'll see them. Can't wait to try the new sense ride. Wanted to love the original but the stiff forefoot destroyed the top of my feet. Any new on Salomon vests for 2019?